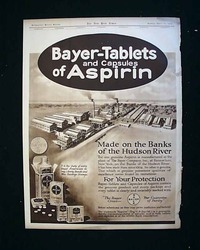 The two-tone single-page print size from the Rotogravure Picture Section is approximately 16.5 x 22 inches and contains a full-page ad for Bayer Aspirin. 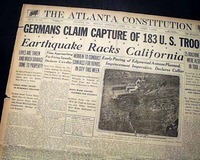 NEW YORK TIMES, April 19, 1918. A small article on page 14 says, "Great Play By Speaker" and subheaded, "Tris Rushes to Second Base and Makes Double Unassisted". 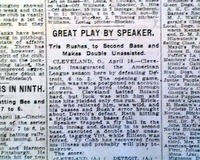 The summary reads: "Speaker trapped a fly ball dashing in to second base, executed a double play unassisted..." This article includes the box score. Speaker would do this again on April 29, the fourth of his career.